Custom Leather Car Seats - Who Wants Them And Why? Custom Leather Car Seats – Who Wants Them And Why?. Custom Leather Car Seats | Who Wants Them And Why? You know that top-of-the-line cars come with leather upholstery as standard equipment. Ever ask yourself why? Of course you know it is the ultimate expression of elegance and luxury. That’s why! No words are needed; it is universally understood that leather stands for class. What Is A Leather Interior? 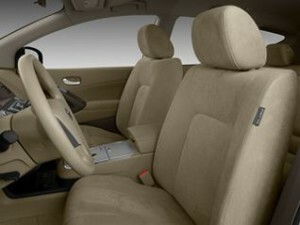 Generally people refer to a leather interior when the seat upholstery is leather. 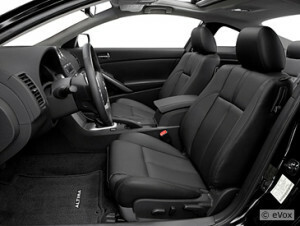 Leather seating is a luxury option, offered on above mid-range model cars and is standard on top-of-the-line cars. So, adding leather car seats to your car catapults it into an elite range. What If Custom Leather Car Seats Are Not Offered As An Option? There is a whole aftermarket manufacturing industry ready and able to provide you with almost any restyling option that you could desire for your car. Adding custom leather seats is a mainstream restyling option favored by many car buffs. As a result, there are custom leather car seats designs for just about every car on the road today. These manufacturers design, and frequently keep in stock, ready-made leather seats, designed to the exact car manufacturer specifications for a wide range of popular models. In addition, they keep in stock materials and designs for almost every car ever made. They can assemble these seats at their factories within a few days of you placing your order. So you are rarely more than a week from satisfying your desire to have leather car seats installed. These manufacturers stay current with new models also. When new models arrive they design patterns for each new seat design so, if you decide to install custom leather seats when you buy your new vehicle, they are ready to supply a kit for you. How Long To Have A Leather Seat Kit Installed? As we said above, it might take a few days to get the kit if the seats for your particular model are assembled and in stock. If the leather seat kits need to be assembled it could take a week. One other factor is where you live. The leather seat kit will be shipped to you by the fastest method but it still takes time. Then you must decide if you want to install the seats yourself or if you want it done by a professional installer. Unless you have specific automotive skills and the right tools we strongly recommend using one of our factory-trained installers. After all, the results will be highly visible and you want a perfect result. Perfect results are what add value to your vehicle. If you are a proud car or truck owner you are always looking for ways to improve your driving experience. This can be done by adding external enhancements as well as interior enhancements. When you add an external enhancement, say, new shocks nobody may notice. If you add a custom leather interior everyone notices. Now your car stands out and turns heads. But the best part is that you have increased the value of your car while making a statement about yourself. Adding custom leather seats is more affordable than most people believe. It is easy to check out what your made-over car could look like by checking out our leather car seat photo gallery here or just click here to learn more about custom leather seats. Custom Leather Car SeatsCustom Leather Car Seats – Who Wants Them And Why?